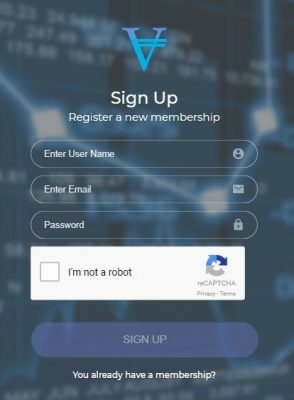 Vicex.io Review 2019 – Scam or Not? 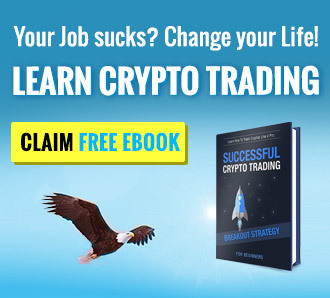 If you are familiar with crypto exchange websites, you would know that there are literally a lot of these websites today that offer the same services. At the end of the day, it all comes down to having specific features that you love about that website to keep you around and transact with the chosen website. Vicex.io is an upcoming decentralized exchange website. 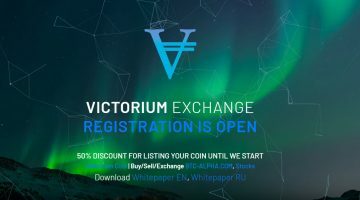 The website also supports their own cryptocurrency called “Victorium” which was introduced in January 2018. The company also released their own mining pool on the same month the coin had its own transaction registered. Today, we will be creating an account with their upcoming exchange website and look around and get a sneak peak on what’s happening before it gets officially released. Without further delay, let’s talk about that! First Step – First step requires the user to subscribe to their list of social media websites. As of this time, the only social media account they have is Telegram. Second Step – Second step is following on Twitter. Third Step – Third step is confirming the activation of the account. These might sound like a weird account activation requirement but they are still in the Beta phase which means that their exchange hasn’t fully launched yet. This may be changed once they have taken off and the regular working exchange would be turned ON. At this point, nothing has been added to the website yet that would give us a heads up on what to expect. But despite the lack of working features, we still have found a few bits and pieces that will be carried over to the live website. Currently, at VICex.io, there are two groups of coins being listed. First would be the voting list wherein communities from around the world will be able to support their own coin by listing it every Monday, Wednesday, and Friday. Once a coin wins gets the required votes to win, it is then transferred to the “Planned” list of coins to be officially added to their exchange. Voting List – Ellerium, DeepOnion, Yenten, Balkancoin, IntenseCoin, Arto, CRYPLY, GalaxyCash, Akroma, ROI coin, HotelCoin, UFO, Taler, ONEX, SHIELD, Photon, NXBoost, Boolberry, Bitcoin Atom, Aura, NewYorkCoin, Agricoin, ELECTRA, Soldo, Dagger, TulipCoin, Manatee, Bounty0x, Social Send, Tokyo Coin, NomadCoin, Diamond coin, Accelerator Network, Rubix, and Quaz. As of today, there are only 35 alt coin entries with Ellerrium leading the pack of 811 votes, DeepOnion with 756, and Yenten has 733 for the top three coins today. Since this is not yet final, the list can still change over the next days. Planned List – Unitus, Kraken Coin, SuperiorCoin, Karbo, Nekonium, Stream Network, Logarithm, PIRL, Mankind First, InterPlanetary Broadcast Coin, BitcoinZ, Starwels, BitRewards, BitcoinWSpectrum, Maucoin, Stellite, UltraNote, MIX, Fonero, Ellaism, and Victorium which is the native coin of the exchange. All of the mentioned coins above are planned to be introduced into the official list of tradable coins once the website goes live with the addition of coins from the voting list. If you are part of a coin community and you think that it would help to have your coins in circulation, then it wouldn’t be such a bad idea to add your coin here at Vicex.io; all you need to have is an account and you’re good to go! Just like any other crypto exchange website today that leans towards a complete decentralized network would be the quick deposit/withdrawal of supported crypto. In addition, they plan to create a user-friendly interface that would be easier for new comers of the trade. Vicex.io also plans to always keep their doors open to regular addition of new altcoins. The website is also planning to launch mobile applications for iOS, Android, and Windows mobile. Having an integrated mobile App can be very helpful for people that are always in the go and would love to have a connection with their online accounts wherever they are in the world. This is not a full review of the website since they have not fully launched yet. We will be providing you guys a comprehensive review of the website and all of their available features once they finally release. As of now, we are just happy to announce that this website can be something to look forward to in the world of decentralized exchanges.